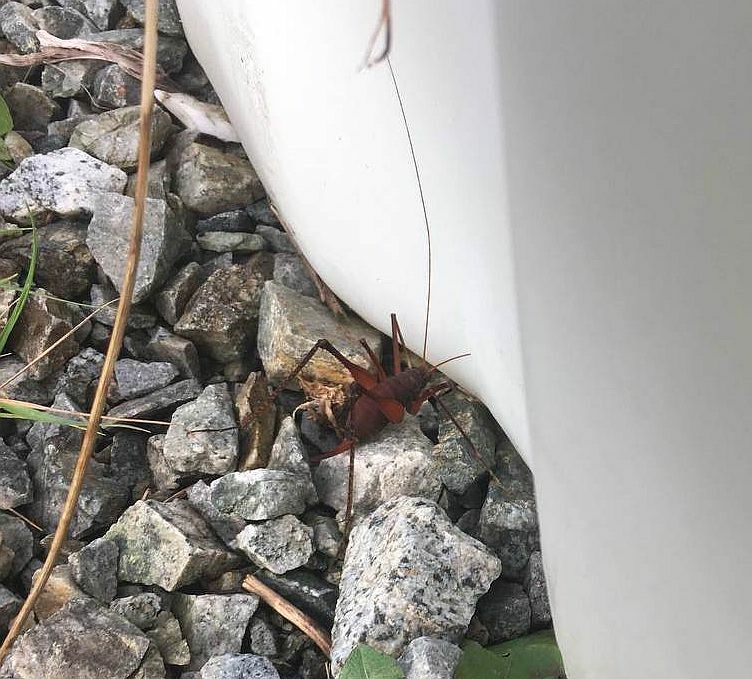 Ron Flower writes: A friend of mine, Scott Keil, sent me a picture of a grasshopper-like creature from Barkley Sound under a tarpaulin at his cabin on January 1. He said its body was about one and a half inches long and it scared him when it jumped a foot in the air at him. Jeremy Tatum comments: Acording to one reference , they “will often jump towards any perceived threat in an attempt to frighten it away” This seems to fit Scott’s account admirably! I am not planning to produce a printed version, but if anyone would like one, let me know (jtatum at uvic dot ca) and I’ll see what I can do. There were 17 reports, mostly of one or two butterflies, involving 24 individuals, during the period April 25 to June 14. Most were from hilly areas (where the foodplant, Garry Oak, grows) such as Mount Tolmie, Mount Douglas, Observatory Hill, Christmas Hill and similar habitats. The first report of the year was of a caterpillar at Island View Beach on June 13. The first adult was reported on June 15 from Eddy’s Storage, and from June 16 onwards they were abundant during June and July. Large counts included 63 at Panama Flats on June 22, and 30 at Island View Beach during the VNHS Butterfly Walk on July 1. They were still plentiful there on July 28, and the last reported sighting was of one there on the VNHS Butterfly Walk on August 5. Aziza Cooper photographed a specimen of the pale form pallida at Cattle Point on June 30. Gordon Hart photographed a specimen of this rare (for our area) butterfly in his Highlands garden on June 27. As stated in the 2017 report I am including the “Western” Branded Skipper as a subspecies, H. comma colorado, of the Branded Skipper although some authorities classify it as a separate species, the Western Branded Skipper H. colorado. Whether treated as a subspecies or as a separate species, the colony at Cordova (Saanichton) Spit is believed to be colorado. One was seen at Cordova Spit on July 28, and three were seen and photographed there during the VNHS Butterfly Walk on August 5. Reports of this abundant butterfly from July 18 to September 17. Some high counts include 35 at Witty’s Lagoon and 110 at Royal Roads University on July 21 (just four days after the first sighting of the season); 75 at Fort Rodd nursery on August 2; 44 at Rithet’s Bog on August 28. Several observers resorted to such terms as “abundant”, or “teeming with swarms” (Metchosin, August 6). The only reports in 2018 were from the Kinsol Trestle, where two were seen on June 17, and one on June 21 and July 4. While this is an uncommon butterfly in the area, there must be more of them around than this. Let’s see what we can do next year! During the period May 1 to Aug 5, there were 16 sightings of this species, involving about 29 different individuals. Locations were Mount Douglas, Mount Tolmie, McIntyre Reservoir, Island View Beach, Fort Rodd Hill. No caterpillars were reported. Sightings from April 27 (the same starting date as in 2017) to August 8. 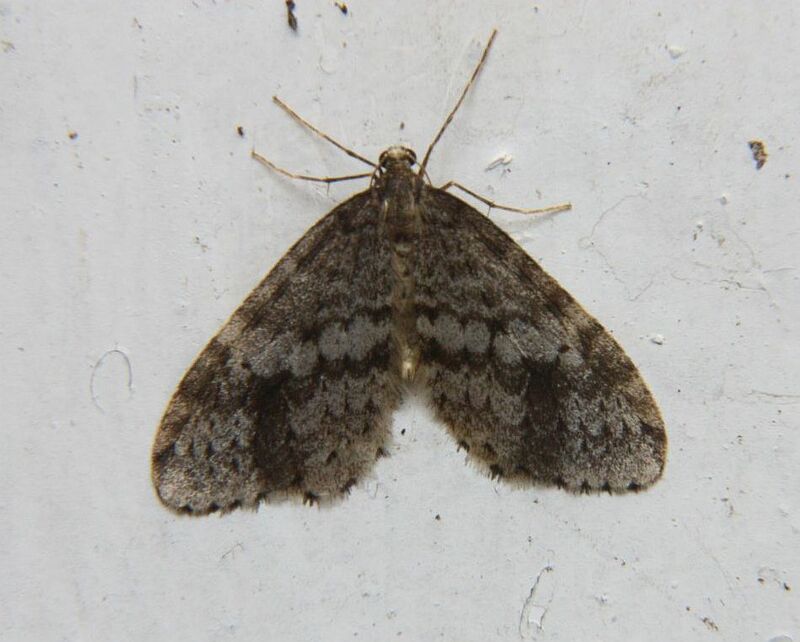 This species was common everywhere, especially from mid-May to mid-July. Most reports were of from one to five individuals at any one place. Reports of slightly larger groups were as follows: 7 at John Dean Park, May 17; 7 at Rithet’s Bog, June 12; 7 at Goldstream River, June 15; 7 at Ten-mile Point, June 17; 10 at Cairn Hill, July 15. It may also be supposed that “lots” at Cowichan Station, July3; “many” at Kinsol Trestle on June 17 and July 4; and “plenty” in Oak Bay, July 11 describe goodly numbers of this butterfly. Reports from May 13 (the same starting date as in 2017) to June 26, followed by a gap, and then one on July 18 (one day earlier than the last 2017 sighting). Reports of more than five at one location were 6 at Goldstream Heights, May 27; and 8 on Mount Douglas on June 18. Reports from July 13 (last year, it was July 15) to September 19. Within the area covered by this report, this species was reported only from the railway line north of Cowichan Station. Reports from May 12 to July 5. Reports from March 18 (the first non-hibernating adult butterfly of the year) to October 20. There were still large numbers on September 17 (45 at Martindale, 24 at Panama Flats, 20 on Mount Douglas), and ovipositing (on kale) was noted on September 23. Numbers were down to a few persistent stragglers on October. On October 24,Val George noted 15-20 caterpillars on the walls of his Oak Bay house. They had left his kale patch and were looking for somewhere to pupate. Indeed, Val found a pupa there the following day, October 25. The last butterfly sighting of the year was a Cabbage White seen by Kirsten Mills at Eddy’s Storage on Stelly’s Cross Road, Central Saanich, November 2. Reported in good numbers from April 6 to May 6, the largest numbers being seen in the last week of April. It is not easy to find butterfly pupae (other than Cabbage White) though Jochen Moehr found a Sara Orangetip pupa in his garden on June 16. Reports from May 15 to August 7, and then two spotted at Island View Beach during the September 2 VNHS Butterfly Walk. Most reports were from Island View Beach or McIntyre reservoir (9 there on August 7), though 12 were counted along the Goldstream River on June 16, and others were spotted at Cowichan during a VNHS field trip. Reports from May 10 to June 27. As in 2017, there were no reports in July or August. Distribution was widespread, with sightings from Gorge Park in Victoria to the Kinsol trestle. A dozen were seen along the Goldstream River, June 16. Sightings from May 3 to May 27. Sightings from April 27 to May 20 (same as last year’s last date). Reports from May 2 (same date as the 2017 first sighting) to July 18, and then a single seen in Metchosin on September 4. It was reported on nine dates, all but one report being of single butterflies, two being seen on Christmas Hill on May 15. On October 18, Nathan Fisk photographed a lycaenid caterpillar feeding on Polygonia paronychia in the Fort Rodd Hill gardens. Although this is one of the principal foodplants of the Purplish Copper, close examination of the caterpillar showed that in fact it was a caterpillar of a Grey Hairstreak. Although not seen well enough for a definitive identification, butterflies seen along the railway line north of Cowichan station on June 16 were almost certainly of this species – the first reports from the area covered by this report in the four years in which these reports have been written. This is one of our commonest spring butterflies, and certainly the commonest blue. Sightings of adults in 2018 from April 10 to June 18, May being the peak month. A caterpillar was found on Ocean Spray on June 19. Sightings of several around the lupins at the Island Highway Colwood exit from April 25 to May 21, the first females being noted on May 12. The only other locality where this species was found was Boas Road (Shawnigan Lake area), where two were seen on June 21. Two along the Lochside trail south of Blenkinsop Lake, April 26; 1, Cowichan Station, May 12; 1, Goldstream Park, May 21. No caterpillars were found in spite of dedicated searches. Because of the difficulty of distinguishing between the several comma species, it is possible that some Satyr Commas are missed or dismissed as “comma sp.”; nevertheless it is apparent that this species has become quite rare in our area. Nine reports of this species from March 12 to June 16. This seems now to be the “default” comma in our area. The March 12 sighting was the first butterfly sighting of the year, apart from one unidentified butterfly (probably also of this species) on March 11. Two, photographed at Sooke Potholes, March 31. All records are: One or two were noted hilltopping on Mount Tolmie on twelve dates from April 19 to May 15. It is not known whether these sightings all refer to the same two individuals, or whether more than two individuals were involved. One was seen in the Highlands on July 8. Fresh-looking individuals were seen at UVic on September 19 and on Wascana Street in the Gorge area on September 25. April 26 1 at Swan Lk. The sole report from our area in 2018 was of one seen by Devon Parker on Mount Maxwell, Salt Spring Island, May 5. On September 17 Val George was observing and photographing Painted Ladies on Mount Douglas. Only when he examined one of his photographs later in the day did he realize that it was an American Lady – circumstances somewhat similar to the discovery of the first of the 2017 American Ladies. From May 9 to July 14 from one to six were seen almost daily hilltopping in the evenings at Mount Tolmie. Other localities where the species was found were Mount Douglas, Christmas Hill, Cairn Hill, Highlands, Eddy’s Storage (Central Saanich). There were no August sightings, but two in September – on Mount Douglas on September 17, and in the Highlands on September 25. The only report during 2018 was of one spotted on Mount Tolmie on June 17 by Jeremy Tatum and visiting enthusiast David Harris from Sussex, England. One (not necessarily the same individual) hilltopping on Mount Tolmie on many dates from May 3 to July 21. Other localities where the species was found during this period were Christmas Hill, Mount Douglas, Goldstream Park, and Goldstream Heights, where six were spotted on May 27. There were no August records. In September, sightings were as follows: September 1, one was seen on Galiano Island, and on the same date a caterpillar was found near Esquimalt Lagoon. The adult butterfly arising from this caterpillar emerged on September 18 and was released in the Finnerty Gardens, UVic. September 6, one in Uplands Park. September 17, one on Sidney Island. September 18, a probable (fly-by, briefly seen) at Panama Flats. Finally, one was photographed at Swan Lake on October 10. One was spotted during a VNHS field trip in the Cowichan area on June 16. Gordon Hart spotted a large fritillary in his Highlands garden on August 3. While hydaspe is the “default” Speyeria species, Gordon felt that it wasn’t “quite right”, and we must consider the possibility that there are still a few S. zerene here. This latter species was listed for Thetis Lake Park in the 1960s, and it still occurs on Salt Spring Island. All sightings were from Eddy’s Storage, Central Saanich, May 22 to June 18. Twenty-two were counted there on May 26, and there were still ten there on June 18. The only report of this species within the boundaries of our area was of one along the railway line north of Cowichan Station on May 12. It will be recalled that the species was completely missed in the area in 2017. Like the Satyr Comma, this was formerly a common butterfly, which seems almost to have vanished. Regular sightings from May 20 to August 20, plus two September sightings – one at King’s Pond (Ascot Drive, Saanich) on September 4, and one at Panama Flats on September 17. Among the larger counts of this common species were: 19 at Panama Flats, June 22; 15 at Rithet’s Bog, June 23; 20 on Mount Tolmie and 16 along Island View Beach during a VNHS Butterfly Walk on July 1. A final instar caterpillar was found at Rithet’s Bog on May 29, and a chrysalis was found at Fort Rodd Hill on June 4. [Jeremy Tatum comments: Although I have in the past raised some objections to the name “Ringlet” for this butterfly, I discovered during the year that, when the species was first noted in England in the nineteenth century, it was in fact originally called the Manchester Ringlet, and, a little later, the Small Ringlet. Although this is sometimes regarded as an uncommon species, local sightings suggest that it is in fact one of our commonest butterflies – if rather local. Records in 2018 from May 15 to September 2. 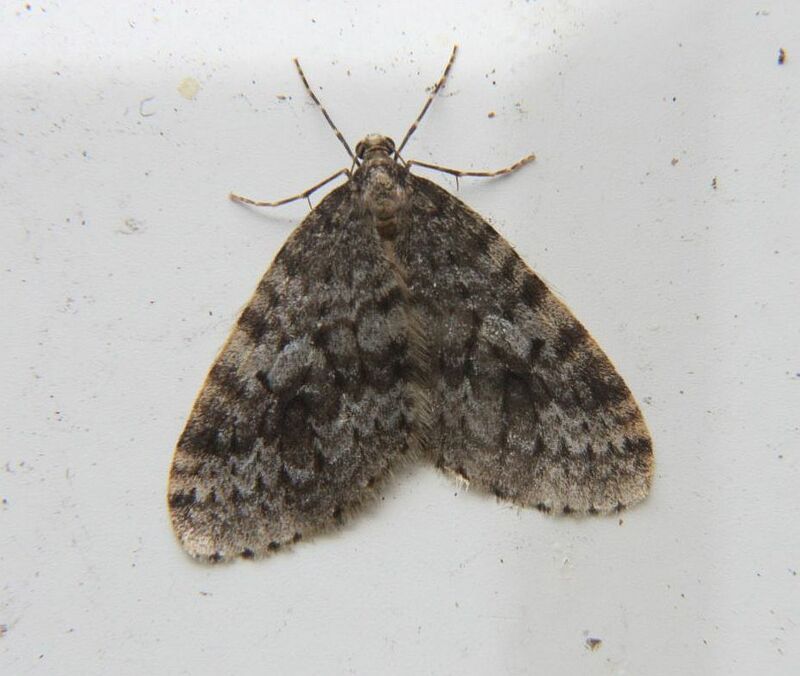 Counts of more than 20 at a single locality were: 21 at Rithet’s Bog, May 16; 74 at Layritz Park, May 22; 21 at Quick’s Bottom, June 18; 23 at Viaduct Flats and 55 at Layritz Park, August 22. One seen by Dave Fraser in Uplands Park, September 25. Although it is customary to warn that this species in sometimes released commercially for weddings, etc., it is also quite possible that occasional sightings of this species are genuinely wild butterflies. There is little evidence one way or the other. There were no reports of this species. It is an uncommon species, and it also quite difficult to spot, being our smallest butterfly. I am reluctant to believe that it is truly absent; we may need to look a little harder next year. Its larval foodplants, strawberry and blackberry, are abundant and ubiquitous. This butterfly is usually found at places outside our area. However, it does occur – or it used to occur – near Spectacle Lake in the vicinity of Lodgepole Pines. It has a short flight time. I think we just have to put on our hiking boots and look around Spectacle Lake in April and May. This was formerly a not uncommon butterfly, but it has become much rarer, and is to be looked for on mountain tops – another one for our hiking boots. It is supposed to be much commoner in even-numbered years, so we ought to have found it in 2018. Chances will not be so good next year. I have often remarked that no two books use the same set of names, English or scientific, for North American butterflies – a notable exception being that James Miskelly in his article in the VNHS Nature Guide stuck strictly to the names used by Guppy and Shepard. The new book by Merrill Peterson (see the December 28 posting) carries on the name-change tradition! Since I am sure many viewers will acquire the Merrill Peterson book (which I very strongly recommend), I thought I would list here the names he uses for butterflies where these differ from the names we have been using on Invert Alert. As for “What is the correct name?” – that is hardly a meaningful question! It depends on whom you ask and when you ask it. Every author has his or her own opinion, and usually with reasons. As most viewers will know, some authors split what was formerly the Branded Skipper Hesperia comma, into two separate species, the Branded Skipper Hesperia comma (which we are supposed to get in the up-Island mountains) and the Western Branded Skipper Hesperia colorado (which is supposed to be the one we get on Cordova (Saanichton) Spit. Earlier this year I decided (not necessarily wisely) to lump all of them, on Invert Alert, under Branded Skipper Hesperia comma. Peterson calls the Pacific Northwest species the Western Branded Skipper Hesperia colorado. I am very anxious to find the caterpillar of this butterfly. Elfins. One of the (several) problems with this group is whether there are or should be two distinct genera – Callophrys (the green ones, none of which occur near Victoria) and Incisalia (the brown ones, of which we have several). The green ones and the brown ones seem to be superficially rather distinct among North American species, but apparently when you consider worldwide species, there is less obvious distinction. Hence some authors lump them all under Callophrys, regarding the name “Incisalia” as superfluous. In Invert Alert I started using the genus name Incisalia in 2010, and I still do so, on the grounds that I can’t keep changing the names on Invert Alert every few months! The butterfly we have been calling the Cedar Hairstreak Mitoura rosneri has perhaps been subject to more name-changes (English and scientific) than any other butterfly. It is called by Peterson the Juniper Hairstreak Callophrys gryneus. Some authors recognize two species – the Juniper Hairstreak and the Cedar Hairstreak. Others lump them as a single species. The Brown Elfin is another candidate for the most frequent name-changes and lumpings and splittings. On Invert Alert I have been using the name Western Brown Elfin Incisalia iroides. Peterson uses the name Brown Elfin Callophrys augustinus. That is, he doesn’t recognize the splitting used by Guppy and Shepard. For the Western Pine Elfin I have been using on Invert Alert the name Incisalia eryphon. To Peterson it is Callophrys eryphon. Our Anna’s Blue Lycaeides anna is called by Peterson Anna’s Blue Plebejus anna. Our Boisduval’s Blue Icaricia icarioides is called by Peterson Boiduval’s Blue Plebejus icarioides. Our Western Meadow Fritillary Boloria epithore is called by Peterson Pacific Fritillary Boloria epithore. Our Field Crescent Phyciodes pratensis is called by Peterson Field Crescent Phyciodes pulchella. Coenonympha tullia has always been a problem. Most of us call it a “Ringlet”, either alone or preceded by one adjective or another. 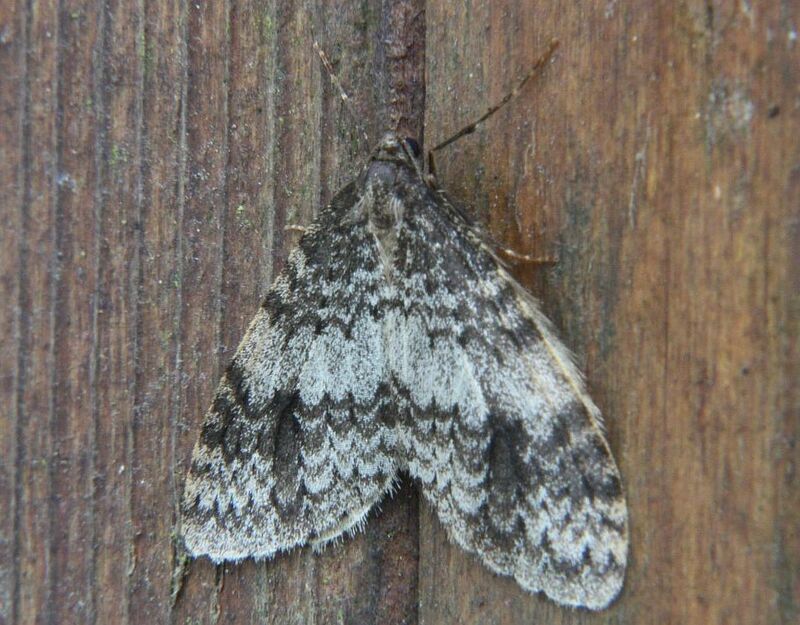 For a while I tried (for several reasons)to advocate using the British name “Large Heath” until earlier this year I discovered that its original name when it was discovered in Britain in the nineteenth century was the “Manchester Ringlet”, and later the “Small Ringlet”. To Peterson it is the Common Ringlet Coenonympha tullia. I’d welcome comments (though I can’t guarantee I’ll be persuaded by them! ), but for the time being I think I’ll continue to use the names that I have been using on Invert Alert since 2010. It would be unduly confusing to keep changing the names every few months on this site, and I feel it is best to be consistent within a given publication. If any of the “Invert Alert” names eventually becomes totally out-of-fashion and never used by anyone, that might be time to change it. I shan’t give a detailed critical review here (I haven’t read it yet! ), but suffice to say that this is a superb book, which anyone who is interested in the terrestrial arthropods of our area will want to have. I say “arthropods” because, in spite of the title “Insects”, it is not restricted to insects, but it covers all Classes and Orders (and probably most Families – I haven’t checked in detail) of terrestrial arthropods in the Pacific Northwest, including Vancouver Island. This book is going to be a huge help in identification. It has my highest recommendation. 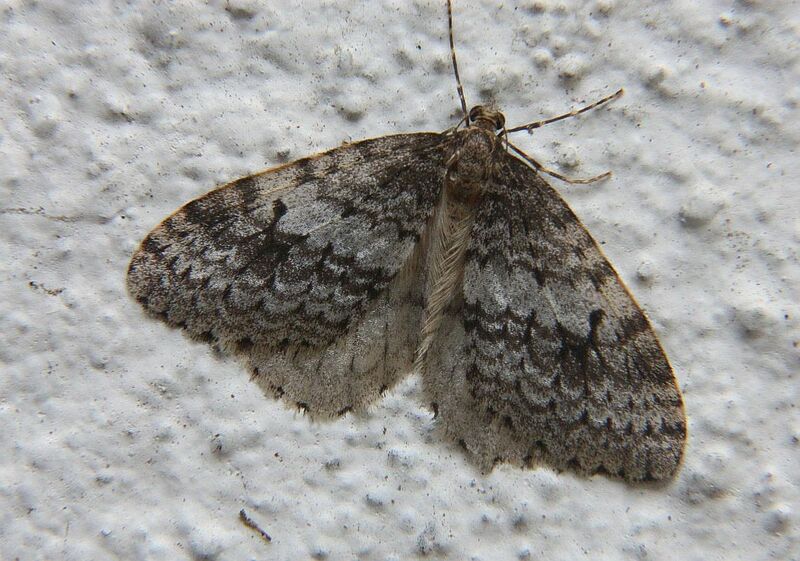 Winter Moths: Wanted: Best quality photographs of good-condition winter moths, male or female. plus a possible new species in the Santa Catalina Mountains. There are additional species in Europe (e.g. O. fagata) not (yet?) seen in North America. 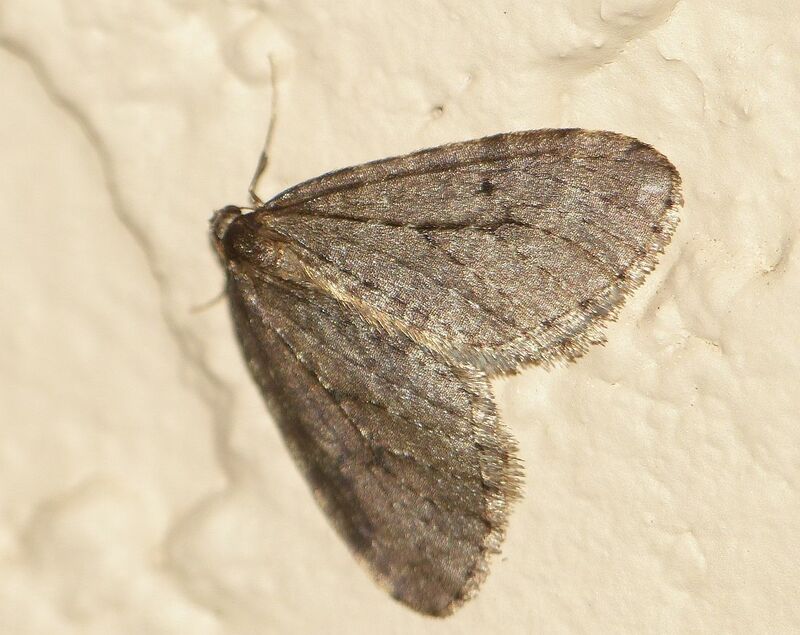 I believe that, in urban and suburban Victoria and the immediate vicinity, almost all of the winter moths are the European Winter Moth O. brumata. 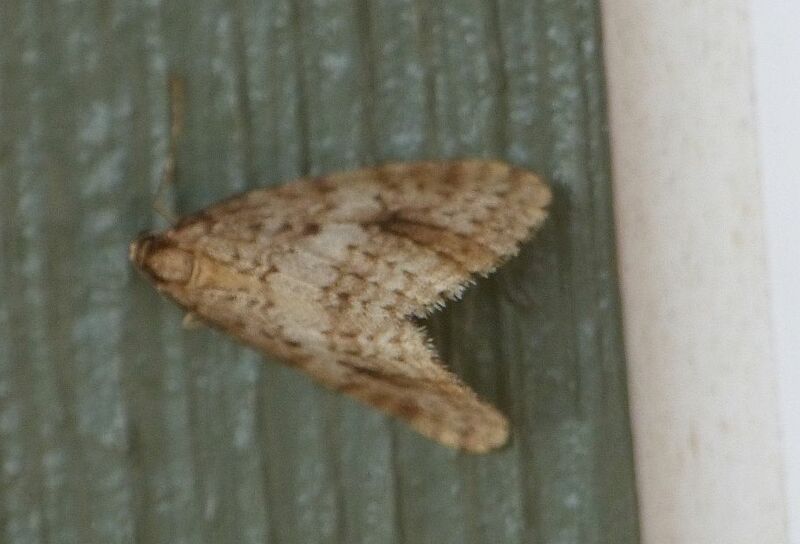 However, in the surrounding countryside, for example Metchosin and Goldstream Park, in addition to brumata, there is another species, which I have hitherto called bruceata. It seems, however, that the eastern and western populations of our common native winter moths are best treated as two separate species. True bruceata is a species of eastern North America. The one we get here should be called O. occidentalis. It may be a while (if at all!) before I can get round to relabellng all “bruceata” photographs on Invert Alert as occidentalis. We have two photographs in Invert Alert so far of O. danby, a relatively uncommon species, which is distinct enough from the others that its identification may be relatively easy. The two danbyi photographs were both from Goldstream Park – one by myself (Invert Alert 2012 December 8) and one by Bill Katz (2018 January 17). Then, when I got back to the office, I found that Jochen Möhr had sent two photographs from Metchosin – one of occidentalis and one of brumata.